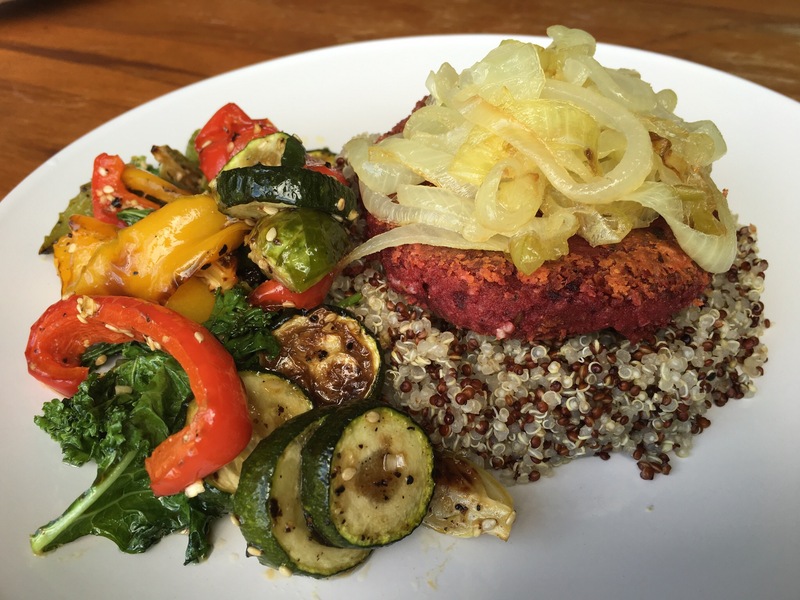 It’s beetroot patty again as you can tell but instead of having it in sandwich or burger, I am having it with roasted vegetables and caramelised onion (doesn’t look quite caramelised) but still taste good. 4. Serve the roasted vegetables with the quinoa. I am not a big fan of brussel sprouts because of the unique bitter taste but roasting them in the oven created a bitter sweet taste which is surprisingly pleasing to my tastebud. Try it and see if you like it.